WASHINGTON - In a devastating double-blow to al Qaeda's most dangerous franchise, U.S. counterterrorism forces killed two American citizens who played key roles in inspiring attacks against the U.S., U.S. and Yemeni officials said Friday. In remarks at Fort Myer, Va., President Obama called the death of the jihadist cleric a "major blow" to al Qaeda in the Arabian Peninsula, and praised the United States' successful alliance with Yemen's security forces. "This is further proof that al Qaeda and its affiliates will find no safe haven anywhere in the world," Mr. Obama said. "Working with Yemen and our other allies and partners, we will be determined, we will be deliberate, we will be relentless, we will be resolute in our commitment to destroy terrorist networks that aim to kill Americans, and to build a world in which people everywhere can live in greater peace, prosperity and security." Seeking to justify the targeted killing of a U.S. citizen, Mr. Obama outlined al-Awlaki's involvement in planning and directing attempts to murder Americans. "He directed the failed attempt to blow up an airplane on Christmas Day in 2009. He directed the failed attempt to blow up U.S. cargo planes in 2010," Mr. Obama said. "And he repeatedly called on individuals in the United States and around the globe to kill innocent men, women and children to advance a murderous agenda." Yemeni intelligence pinpointed al-Awlaki's hideout in the town of Al Khasaf, a Yemeni official said, speaking on condition of anonymity to discuss matters of intelligence. "He was closely monitored ever since," by Yemeni intelligence on the ground, backed by U.S. satellite and drones from the sky, the official said. His death will deal al Qaeda in the Arabian Peninsula a serious blow, says CBS News terrorism analyst Juan Zarate, particularly his work to draw young Muslims into the jihadi mindset. After three weeks of tracking the targets, U.S. armed drones and fighter jets shadowed the al Qaeda convoy before armed drones launched their lethal strike early Friday. The strike killed four operatives in all, officials said. All U.S. officials spoke on condition of anonymity to discuss matters of intelligence. Al-Awlaki played a "significant operational role" in plotting and inspiring attacks on the United States, U.S. officials said Friday, as they disclosed detailed intelligence to justify the killing of a U.S. citizen. Khan, who was from North Carolina, wasn't considered operational but had published seven issues of Inspire Magazine, offering advice on how to make bombs and the use of weapons. The magazine was widely read. Following the strike, a U.S. official outlined new details of al-Awlaki's involvement in anti-U.S. operations, including the attempted 2009 Christmas Day bombing of a U.S.-bound aircraft. The official said that al-Awlaki specifically directed the men accused of trying to bomb the Detroit-bound plane to detonate an explosive device over U.S. airspace to maximize casualties. The official also said al-Awlaki had a direct role in supervising and directing a failed attempt to bring down two U.S. cargo aircraft by detonating explosives concealed inside two packages mailed to the U.S. The U.S. also believes Awlaki had sought to use poisons, including cyanide and ricin, to attack Westerners. The U.S. and counterterrorism officials all spoke on the condition of anonymity in order to discuss intelligence matters. Al-Awlaki was killed by the same U.S. military unit that got Osama bin Laden. 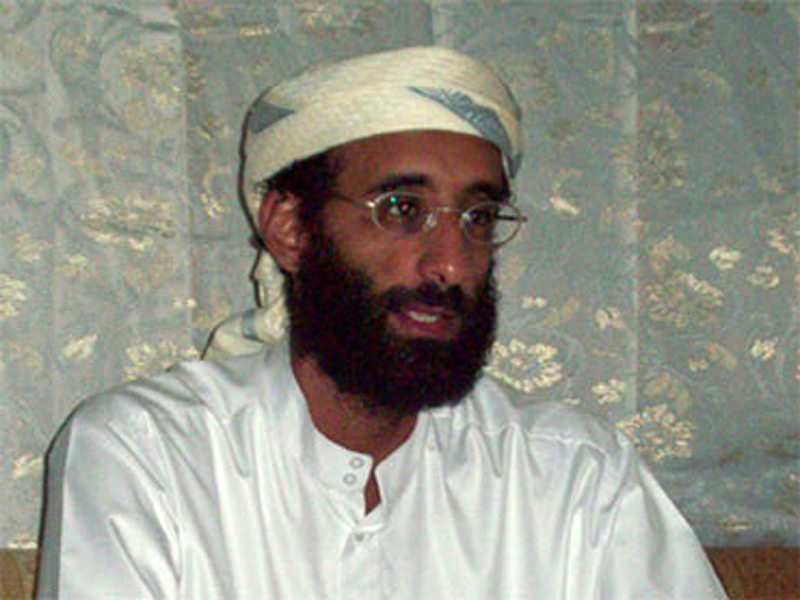 Al-Awlaki is the most prominent al Qaeda figure to be killed since bin Laden's death in May. U.S. word of al-Awlaki's death came after the government of Yemen reported that he had been killed Friday about five miles from the town of Khashef, some 87 miles from the capital Sanaa. The air strike was carried out more openly than the covert operation that sent Navy SEALs into bin Laden's Pakistani compound, U.S. officials said. Counterterrorism cooperation between the United States and Yemen has improved in recent weeks, allowing better intelligence-gathering on al-Awlaki's movements, U.S. officials said. The ability to better track him was a key factor in the success of the strike, U.S. officials said, speaking on condition of anonymity to discuss intelligence matters. Al-Awlaki's death is the latest in a run of high-profile kills for Washington under Mr. Obama. But the killing raises questions that the death of other al Qaeda leaders, including bin Laden, did not. Jameel Jaffer, deputy legal director of the American Civil Liberties Union, condemned the drone attack on Awlaki, saying, "The targeted killing program violates both U.S. and international law. "As we've seen today, this is a program under which American citizens far from any battlefield can be executed by their own government without judicial process, and on the basis of standards and evidence that are kept secret not just from the public but from the courts," Jaffer said. "The government's authority to use lethal force against its own citizens should be limited to circumstances in which the threat to life is concrete, specific and imminent. It is a mistake to invest the President - any President - with the unreviewable power to kill any American whom he deems to present a threat to the country." Awlaki's father, Nasser al-Awlaki of Yemen, had sued Mr. Obama and other administration officials 13 months ago to try to stop them from targeting his son for death. The father, represented by the ACLU and the Center for Constitutional Rights, argued that international law and the Constitution prevented the administration from assassinating his son unless he presented a specific imminent threat to life or physical safety and there were no other means to stop him. But U.S. District Judge John Bates threw out the lawsuit in December, saying a judge does not have authority to review the president's military decisions and that Awlaki's father did not have the legal right to sue on behalf of his son. But Bates also seemed troubled by the facts of the case, which he wrote raised vital considerations of national security and for military and foreign affairs. For instance, the judge questioned why courts have authority to approve surveillance of Americans overseas but not their killing and whether the president could order an assassination of a citizen without "any form of judicial process whatsoever." Al-Awlaki's death "will especially impact the group's ability to recruit, inspire and raise funds as al-Awlaki's influence and ability to connect to a broad demographic of potential supporters was unprecedented," said terrorist analyst Ben Venzke of the private intelligence monitoring firm, the IntelCenter. But Venzke said the terror group al Qaeda in the Arabian Peninsula will remain the most dangerous regional arm "both in its region and for the direct threat it poses to the U.S. following three recent failed attacks," with its leader Nasir al-Wahayshi still at large. Al-Awlaki wrote an article in the latest issue of the terror group's magazine justifying attacking civilians in the West. It's titled "Targeting the Populations of Countries that Are at War with the Muslims."